It doesn’t matter how many times people mention that “stoner rock” is a sub-genre with a pretty specific sound and not just rock that is “awesome dude” to listen to whilst being stoned, the Jimi Hendrix, Robin Trower and Foghat posts will keep comin’. Sprague Dawley, ianuaditis, Oliver and 3 others like this. Did not read through thread but I love The Sword and there new LP Used Future and Warp Riders are excellent! Jim G. Geezer with a nice stereo! Elder - Dead roots stirring. Their following albums are even better, but dead roots is an awesome stoner/rock album. This is a very underrated band. They deserve a thread ! JakeM, deege3000 and scarfaceclaw like this. Orange Goblin is sometimes considered stoner. Similar but heavier style to The Sword, esp now that The Sword went light 4 albums ago. I've heard some good Goatsnake. deege3000 and Jaap74 like this. "Stoner Rock"/"Stoner Metal"/"Stoner Doom" pretty much the same thing. The more retro sounding bands are more oft labeled "Stoner Rock." Some way back when titles that have stood the test of time, imho. A genre i dig a lot! Safeway 1 "mad, bad, and dangerous to know"
SG47, eyeCalypso and Greenalishi like this. My brother Stephen plays bass on some of the tracks of the new double-LP from Telestrion. 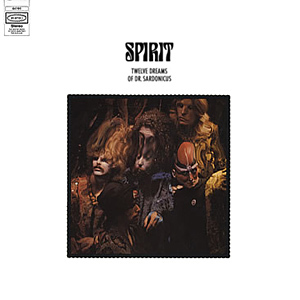 It also features Ric Parnell (Atomic Rooster, Spinal Tap) on drums. Here's a little something for Earthless fans - pro shot video. Mad shadows and nodeerforamonth like this. Yes, Earthless. I saw those boys a few years ago when they opened for the Sword. Goatsnake ........ Greg Anderson's guitar sound is just chunkified, rifftastic goodness. I could be wrong, but this sure sounds like a very stoned out version of "Stormy Monday" to me. 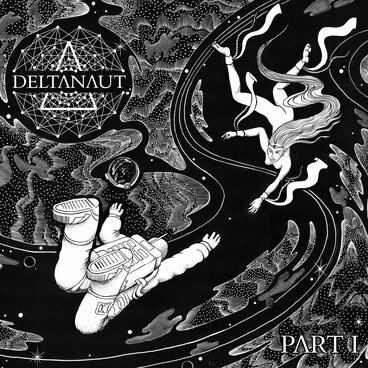 Deltanaught - Part I - described as a "superb collection of psych heavy jams from a very good and very accomplished trio of musicians. Five mainly instrumental grooves that never stay still, ever moving ever evolving, ambient and relaxing one minute, in your face and heavy the next". "Name Yer Price" lossless download from Bandcamp.